Tomorrow Holiday: Due to heavy rain in Tamilnadu state respective districts collectors are announced leave for both Schools and Colleges. Here indiagrade.com website has updated the each district list which declared leave due to rain. Now most of the students are searching in Google, newspaper about whether they have leave or not. Last few days many lake and pond are filling quickly because of low depression in Bay of Bengal. Universities like Anna University, Madras University, Bharathidasan University are cancelled semester exam because of rain. You can get the more details about district wise leave details and rescheduled exam dates completely below. 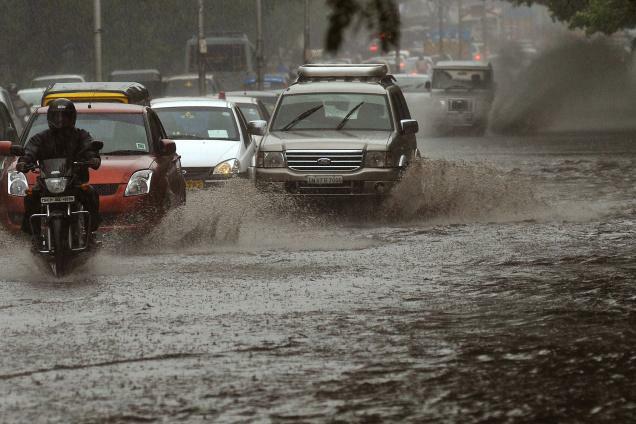 Tamilnadu capital city Chennai is mostly affected by rain. We can see only water in streets and other districts like Cuddalore, Kanchipuram, Vellore trees are broken. District collectors has ordered holiday for today and tomorrow. Ariyalur, Chennai, Coimbatore, Cuddalore, Dharmapuri, Dindigul, Erode, Kanchipuram, Kanyakumari, Karur, Krishnagiri, Madurai, Nagapattinam, Namakkal, The Nilgiris, Perambalur, Pudukkottai, Ramanathapuram, Salem, Sivaganga, Thanjavur, Theni, Thoothukudi, Tiruchirappalli, Tirunelveli, Tiruppur, Tiruvallur, Tiruvannamalai, Tiruvarur, Vellore, Viluppuram, Virudhunagar. For the below district leave given for 16th Nov(16/11/2015) and for Ramanathapuram 16th(16.11.2015), 17th(17.11.2015) are declared leave. Recent Updates: Till now below district announced holiday for 2nd December 2015(02.12.15). Keep visiting this page we will shortly provide the details. Madras University, Anna University & Thiruvallur University exams cancelled tomorrow(23\11\2015). Puducherry(Pondicherry) and Karaikal also announced leave for colleges and schools. Note: We have only provide the information based on source. Please check with your colleges and schools for clear information. Comment your district Name below to know whether your district has leave or not. Holiday 16/11/15 for Dindigul District? Chennai, Kanchipuram, Tiruvallur, Ramanathapuram, Vellore(schools only) leave declared..
17 Nov 2015 Schools at Chennai leave ? is 17 nov is an holiday for schools in cuddalore district? Nov 17th tirupur district schools declared holiday ? Tomorrow 17th Nov Coimbatore schools are holiday ? Tiruvallur -holiday-for sculs-17nov 2015 ? Is 18/11/2015 a holiday in Chennai? Kanchipuram leave or not on19 th November. Please tell me quickly. Is holiday for Madras University on 21st? is tomorrow holiday for madras university? 24/11/15 IS HOLIDAY For CUDDALORE DIStrict,,. Does Vellore Dt has a holiday on 24th November? Is kanyakumari district school hoilday tomorrow?